A video of PM Modi’s rally in Varanasi is revived and shared as a recent one from Karnataka. 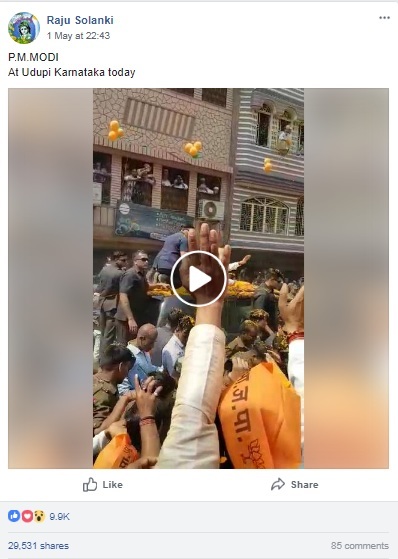 A 2017 video of Prime Minister Narendra Modi’s rally in Varanasi, Uttar Pradesh is being shared on social media as a recent video of the PM’s visit to Karnataka ahead of voting on May 12. The video shows throngs of supporters shower the prime minister with flowers and bouquets as his car makes its way through a crowded street. The prime minister is seen standing through the sun roof, waving at the crowds, which can be heard chanting ‘Modi Modi’ while his security detail struggle to hold back onlookers from approaching the vehicle. 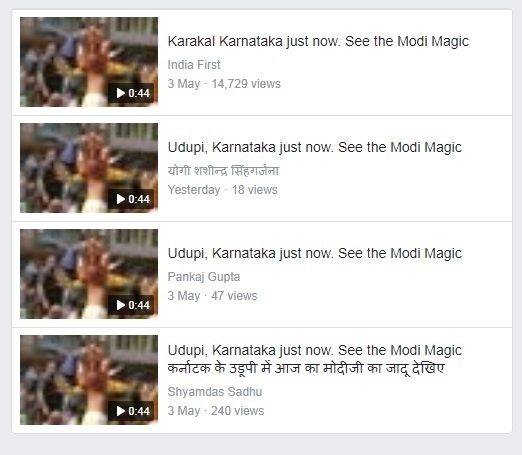 Several supporters of the Bharatiya Janata Party (BJP) have shared the video on Facebook over the last one week with the false context that the video was shot at the PM’s rally at Udupi on May 1st. Others have shared the video on their timeline without specifying that it is old and has no connection to Karnataka. However, this particular video was widely covered by the media last year and can be easily found on YouTube. 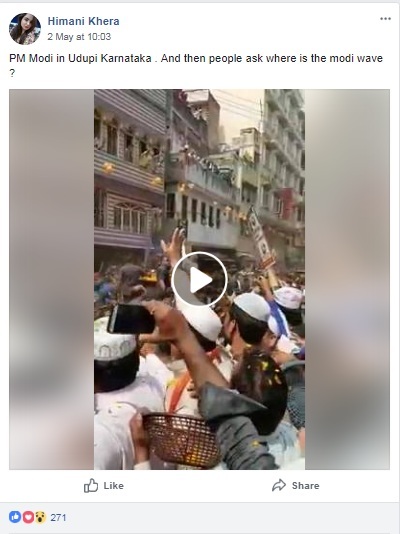 The video was taken during the PM’s mega rally in his constituency Varanasi ahead of assembly elections in Uttar Pradesh, which the BJP won in a landslide victory. 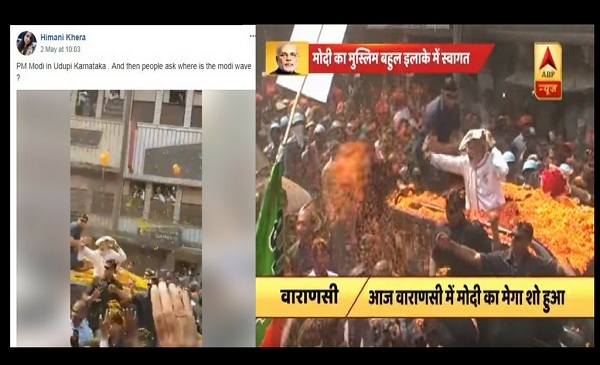 The below video uploaded by ABP News on March 4, 2017 states that the prime minister was given a rousing reception as his convoy passed through a Muslim dominated area in Varanasi. Prime minister Modi has been in Karnataka since May 1st launching a blistering attack as his party seeks to wrest control of the state from the incumbent Congress party. The prime minister’s speeches in Karnataka have attracted huge footfalls, however, the video shared by many netizens is not from the state.